Initial D World - Discussion Board / Forums -> ZR1 on the cover. ZR1 on the cover., old news, but no one posted it. Looking forward to getting this game. Cover looks nice. I also heard if you pre-order the game, you get 5 Bonus Cars. They are the Bugatti Veyron (All Black), Ferrari Enzo (Special Yellow), Citroen GT, Nissan GT-R Spec V (Special Blue), and the Lamborghini Countach LP400. By pre-ordering, you'll receive a voucher that entitles you to one of the top tier cars in an exclusive color right from the start of the game. The cars include the 2009 Bugatti Veyron 16.4, the 2002 Enzo Ferrari, the 2008 GT by Citroen, the 2009 Nissan GT-R Spec V and the 1974 Lamborghini Countach LP400. 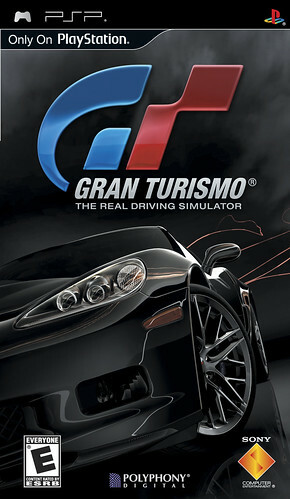 The Lamborghini is an extremely notable item on this list, as this is the first time a Lamborghini has appeared in a Gran Turismo title. No it's not. GT3 had the Nomad JGTC Lamborghini. ah, polyphony, i remember when this game was going to come out in 2005. They were in the Japanese release of GT3, accessible only by gameshark, IIRC. There's a TA video of it on Youtube. Online, gamestop is offering the bugatti for preorder. where could we find the other preorder vehicles? ^dont know, ive been looking everywhere even at work for osme info about a pre-order for it. as soon as i know, i will let you folks know.